Well, it’s actually an extremely simple answer, should you use chlorine tabs? Yes and No. Okay, well, I guess its not really that simple, but I promise it is a fairly simple explanation. You’ll be a chlorine tab expert in about 3 min and 28 seconds. 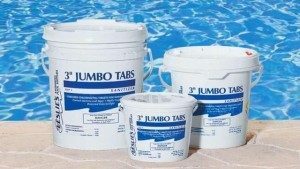 Hockey pucks, tabs, chlorine blocks, the little round white things, there are so many names for chlorine tabs, but even more misunderstandings about chlorine tabs. You know that they play an essential role in pool cleaning, but what are they and what do they do? 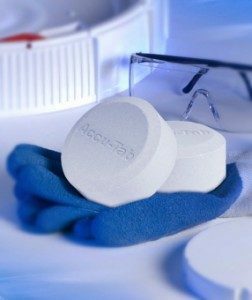 Chlorine tablets are generally a 3-inch densely compacted mix chlorine and other active ingredients including stabilizers. They fit inside of a chlorine feeder and are a time-released product that releases a small amount of chlorine constantly over a long period of time. Contrary to popular belief tabs are not always necessary, in fact, often they are not needed. 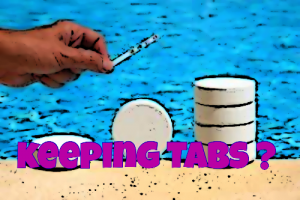 Tabs are a time released product used when your pool does not maintain a chlorine level throughout the week. 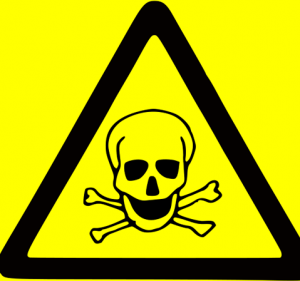 Chlorine tabs should not be your primary use for sanitation in a swimming pool. They are a secondary addition to chlorine or another primary sanitizer. Often, here in Florida, due to all the rain, the sun, pool use, and many other factors, a pool has issues maintaining chlorine. We all know what happens when a pool has no chlorine. 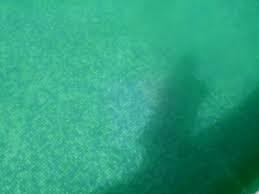 NO CHLORINE = POOL TURNS GREEN. So when a pool has trouble maintaining a level of chlorine, that’s when our friend the chlorine tabs come in. They are feeding the pool chlorine dosages in small amounts constantly which aid greatly in keeping the pool clean. So, lets say every time you test your chlorine levels it’s at a zero. You keep adding a jug of chlorine every week and still nothing. But if you add a full jug and a tab, now you boosted your chlorine, and you have the chlorine tabs to keep and maintain that higher level of chlorination. The problem with just filling your chlorine feeder with tabs and thinking that will solve the trick is to remember there are other ingredients in most of the chlorine tabs on the market. Many, many times I have seen customers who, before our service team did the cleaning for them, would throw 10 tabs a week in there pool or chlorine feeder. The problem with that is that the chlorine tabs were filled with stabilizer. Stabilizer is a molecule that bonds to chlorine to help keep the chlorine in the pool with UV protection, instead of being quickly evaporated by the sun. However, when stabilizer becomes too high it will bond such a strong structure around the chlorine it will form a complete bond around the chlorine not allowing it to be used and leaving it ineffective. This can give you FALSE READINGS, meaning your test kit may say the chlorine is very high, but your free chlorine utilization is at zero, because the stabilizer is prohibiting the chlorine from being used. Think of stabilizer like sunblock. In this analogy, wearing sunblock is stabilizer and our skin is the chlorine. When you go to the beach on a sunny day you want to use 15-30 SPF if you want a tan, but not a horrible sunburn. But if you use 75 SPF your skin won’t even get a hint of a tan. Just the same with stabilizer, a little bit is good, but too much makes it to where your chlorine is no longer effective. Putting Chlorine tabs in skimmer – this is definitely a big No-No, although one or two will most likely not harm your system, directly putting tabs in your skimmer consistently will, over time, help increase the corrosion occurring to your equipment, particularly heat pumps and motors. The solution: if you don’t have a chlorine feeder, for less then $20 you can pick up a floatable chlorine feeder that will go in any pool. Overloading Chlorine Feeder with Chlorine Tabs- as we discussed earlier, overloading the chlorine feeder with tabs will also over load your stabilizer and throw the rest of your chemistry out of whack. Solution – don’t do it. Let’s simplify everything. Use a chlorine tab when you need it. It is your secondary source for sanitation. Its better to start small, if your pool has trouble holding chlorine add a tab for a week, if it still isn’t holding add two tabs, you don’t want to overload stabilizer. 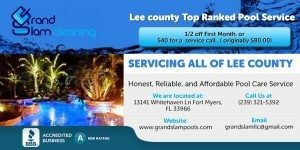 For any of your pool care needs including cleaning and repairs, always feel free to contact us GrandSlam pool cleaning of Fort Myers, FL. (239)321-5392.